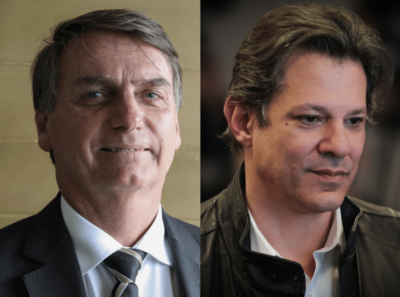 One week before the second round of voting in Brazil, Jair Bolsonaro, the extreme right-wing candidate from the Social Liberal Party (PSL), against Fernando Haddad from the Worker’s Party (PT), Lula’s Party, for Brazil’s Presidential run-off elections, Bolsonaro leads to polls by double digits, about 58 against 42. And the gap is growing, despite the fact that as recent as end of September 2018, Brazilian women campaigned massively against Bolsonaro with the hashtag #EleNao (Not Him). His misogynist record left him with only 27% of women supporters only a couple of weeks ago. Massive cheat-and lie-propaganda increased that ratio by now to 42%. Does anybody seriously believe that Bolsonaro has changed his racist character and his women-degrading attitude? It is mind-boggling how people fall for propaganda lies and manipulations.